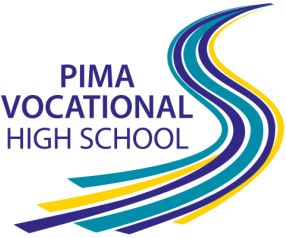 Pima Vocational High School is an accredited charter high school that welcomes out-of-school youth ages 16 through 21. We give students a second chance to graduate with a high school diploma, career plan and sustainable job skills. PVHS offers small classes with caring, highly qualified teachers, hands on learning, employment skills training, paid work placements, and tutoring. Thank you to everyone who came out to celebrate our December 2018 graduates! Mandatory two-day new student orientation will be April 15th & 16th at our Irvington campus. Please call Irene at (520) 724-9740 for more information. As of February 15th, 2017, the Ina Rd. exit is closed for 25 months. See map for alternate routes to reach the Ina Campus. If you have trouble getting to us, please call Vanessa at (520) 724-9400 and she will direct you.